Paul was a cutting-edge rock climber/mountaineer; adventuring in the Himalaya, Karakoram, Patagonia, Baffin Island, the Pamirs and the European Alps. The Central Tower of Paine, Patagonia. Trango Tower in Karakorum, Pakistan. The Wall of Dykes, Ak-Su Valley, Khirgizistan. His first book Deep Play (Baton/Wicks), published in 1997, garnered the Boardman/Tasker Award for Mountain Literature and was translated into four languages. Deep Play was republished in 2012 by (Vertebrate). During a 1998 world mountaineering trip Paul acquired a brain injury when a boulder fell on his head whilst climbing the Totem Pole in Tasmania. The accident resulted in hemiplegia and he lost the power of speech for many months. Being in hospital for a year gave him the impetus to write his second book: The Totem Pole (Constable/Robinson) in 2000. This narrative about his personal journey through hemiplegia also won the Boardman/Tasker prize and the Banff Mountain Book Festival Grand Prize and was translated into four languages. The Longest Climb (Constable/Robinson) followed in 2005. Since His accident Paul has continued to lead a challenging life, climbing Kilimanjaro, caving, sea kayaking, river rafting and, in 2009, lead rock climbing again. In 2011 I cycled across Tibet to Everest Base Camp. 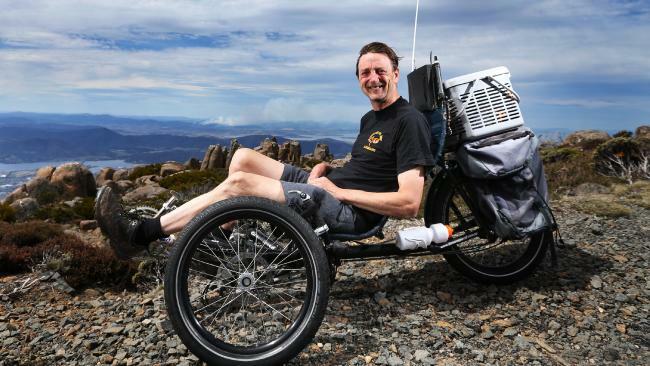 The 2013 film The Journey covers this epic tricycle ride. To The Rainbow - Bamboo Chicken Productions 2009 winner Ljubljana. The Journey Griffon Media 2013 winner Edinburgh. DC, Toronto (2000) and Milan, Ljubljana, Chamonix and for the Hong Kong Royal Geographical Society (2009 and 2014). The Journey has screened at approximately twenty film festivals world-wide in 2013-14 including Domzale, Huaraz, Bankso, Edinburgh, Zakopane and Calgary. Added to this, Paul is an ambassador for Headway Rebuilding Lives (Hobart) and a patron of HemiHelp (London) and Llanberis Mountain Film Festival (Wales). 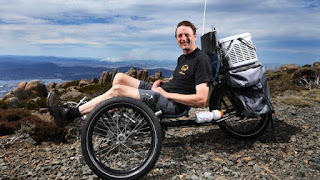 He lives in Tasmania and is a seasoned international lecturer on the lessons he has learned through adventure and how they have helped him live with, not overcome, disability. Paul aims to write a chapter of his forthcoming book about this expedition.